UHS has started taking admission application forms for Private Medical and Dental colleges of Punjab. Candidates must go through whole process mentioned below in order to submit form without any problem. Merit, procedure of filling and submitting application form and fee structure as per PMDC is given below. 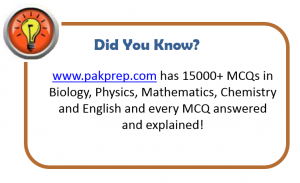 This entry was posted in UHS MCAT and tagged Akhtar Saeed Medical & Dental College, Amna Inayat Medical College, Avicenna Medical College, Aziz Fatima Medical & Dental College, Bakhtawar Amin Medical & Dental College, Best way to prepare for UHS MCAT, Central Park Medical College, Continental Medical College, Dental Entry Test UHS, FEE FOR FOREIGN APPLICANTS, FEE IN PRIVATE PUNJAB COLLEGES, FMH College of Medicine & Dentistry, FOREIGN SEATS FEE STRUCTURE OF PUNJAB, HOW TO FILL FORM FOR PRIVATE MEDICAL COLLEGES, Independent Medical College, Islam Medical College, Lahore Medical & Dental College, M.Islam Medical College, Multan Medical & Dental College, Pak Red Crescent Medical & Dental College, Past Papers UHS MCAT, PUNJAB PRIVATE MEDICAL COLEGE APPLICATION FORM, Rahbar Medical & Dental College, Rai Medical College, Rashid Latif Medical College, Sahara Medical College, Shaida Islam Medical College, Shalamar Medical & Dental College, Sharif Medical & Dental College, Sialkot Medical College, solved UHS MCAT MCQs, UHS, UHS Admission, UHS ADMISSION LAST DATE. UHS PRIVATE COLLEGES DATE, UHS Admissions, UHS AFFILIATED COLLEGES, uhs answer keys, UHS Biology MCQs, UHS DENTAL, UHS English MCQs, UHS Entry Test, UHS Fee, UHS HAFEZ-E-QURAN TEST DATE, UHS HAFIZ-E-QUEAN, UHS HOW TO FILL APPLICATION FORM, UHS MCAT Preparation, UHS Medical Admission, UHS MEDICAL COLLEGES ADMISSION, UHS PRIVATE AFFILIATED MEDICAL COLLEGES, UHS PRIVATE DENTAL COLLEGE, UHS PRIVATE DENTAL COLLEGE ADMISSION FORM, UHS PRIVATE DENTAL COLLEGE ADMISSIONS, UHS PRIVATE DENTAL COLLEGE CRITEIRA, UHS PRIVATE DENTAL COLLEGES, UHS PRIVATE MEDICAL COLLEGE ADMISSION, UHS PRIVATE MEDICAL COLLEGE ADMISSION FORM, UHS PRIVATE MEDICAL COLLEGE CRITEIRA, UHS PRIVATE MEDICAL COLLEGE CRITERIA, UHS Solved Papers, UHS Test format, University Medical & Dental College on March 28, 2019 by Pakprep.com Admin. 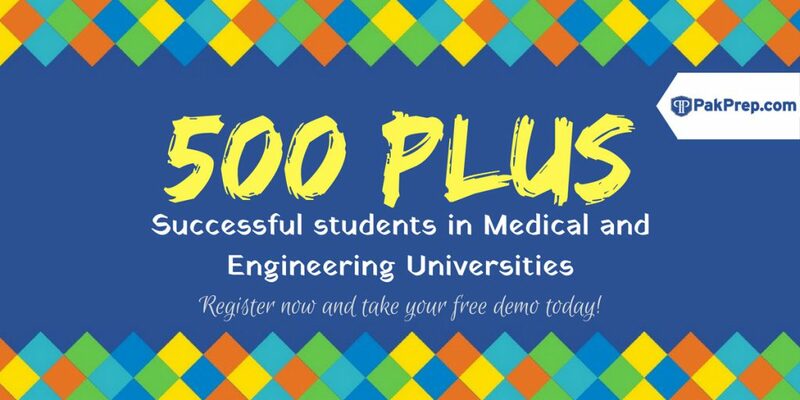 This entry was posted in UHS MCAT and tagged Akhtar Saeed Medical & Dental College, Amna Inayat Medical College, Avicenna Medical College, Aziz Fatima Medical & Dental College, Bakhtawar Amin Medical & Dental College, Best way to prepare for UHS MCAT, Central Park Medical College, Continental Medical College, Dental Entry Test UHS, FEE FOR FOREIGN APPLICANTS, FEE IN PRIVATE PUNJAB COLLEGES, FMH College of Medicine & Dentistry, FOREIGN SEATS FEE STRUCTURE OF PUNJAB, HOW TO FILL FORM FOR PRIVATE MEDICAL COLLEGES, Independent Medical College, Islam Medical College, Lahore Medical & Dental College, M.Islam Medical College, Multan Medical & Dental College, Pak Red Crescent Medical & Dental College, Past Papers UHS MCAT, PUNJAB PRIVATE MEDICAL COLEGE APPLICATION FORM, Rahbar Medical & Dental College, Rai Medical College, Rashid Latif Medical College, Sahara Medical College, Shaida Islam Medical College, Shalamar Medical & Dental College, Sharif Medical & Dental College, Sialkot Medical College, solved UHS MCAT MCQs, UHS, UHS Admission, UHS ADMISSION LAST DATE. UHS PRIVATE COLLEGES DATE, UHS Admissions, UHS AFFILIATED COLLEGES, uhs answer keys, UHS Biology MCQs, UHS DENTAL, UHS English MCQs, UHS Entry Test, UHS Fee, UHS HAFEZ-E-QURAN TEST DATE, UHS HAFIZ-E-QUEAN, UHS HOW TO FILL APPLICATION FORM, UHS MCAT Preparation, UHS Medical Admission, UHS MEDICAL COLLEGES ADMISSION, UHS PRIVATE AFFILIATED MEDICAL COLLEGES, UHS PRIVATE DENTAL COLLEGE, UHS PRIVATE DENTAL COLLEGE ADMISSION FORM, UHS PRIVATE DENTAL COLLEGE ADMISSIONS, UHS PRIVATE DENTAL COLLEGE CRITEIRA, UHS PRIVATE DENTAL COLLEGES, UHS PRIVATE MEDICAL COLLEGE ADMISSION, UHS PRIVATE MEDICAL COLLEGE ADMISSION FORM, UHS PRIVATE MEDICAL COLLEGE CRITEIRA, UHS PRIVATE MEDICAL COLLEGE CRITERIA, UHS Solved Papers, UHS Test format, University Medical & Dental College on October 23, 2018 by Pakprep.com Admin. National University of Health Sciences also known as UHS has announced dates for private medical and dental colleges of Punjab. Applicants who are willing to get admission in any private medical or dental college of Punjab shall submit their application to UHS with in due date. Application form can only be downloaded from UHS website http://www.uhs.edu.pk/ and hard copy of application form shall not be provided by university. 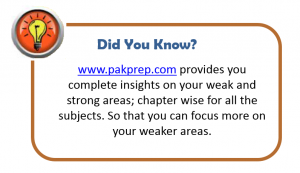 This entry was posted in UHS MCAT and tagged Akhtar Saeed Medical & Dental College, Amna Inayat Medical College, Avicenna Medical College, Aziz Fatima Medical & Dental College, Bakhtawar Amin Medical & Dental College, Best way to prepare for UHS MCAT, Central Park Medical College, Continental Medical College, Dental Entry Test UHS, FMH College of Medicine & Dentistry, Independent Medical College, Islam Medical College, Lahore Medical & Dental College, M.Islam Medical College, Multan Medical & Dental College, Pak Red Crescent Medical & Dental College, Past Papers UHS MCAT, Rahbar Medical & Dental College, Rai Medical College, Rashid Latif Medical College, Sahara Medical College, Shaida Islam Medical College, Shalamar Medical & Dental College, Sharif Medical & Dental College, Sialkot Medical College, solved UHS MCAT MCQs, UHS, UHS Admission, UHS ADMISSION LAST DATE. UHS PRIVATE COLLEGES DATE, UHS Admissions, UHS AFFILIATED COLLEGES, uhs answer keys, UHS Biology MCQs, UHS DENTAL, UHS English MCQs, UHS Entry Test, UHS Fee, UHS HAFEZ-E-QURAN TEST DATE, UHS HAFIZ-E-QUEAN, UHS MCAT Preparation, UHS Medical Admission, UHS MEDICAL COLLEGES ADMISSION, UHS PRIVATE AFFILIATED MEDICAL COLLEGES, UHS PRIVATE DENTAL COLLEGE, UHS PRIVATE DENTAL COLLEGE ADMISSIONS, UHS PRIVATE DENTAL COLLEGES, UHS PRIVATE MEDICAL COLLEGE ADMISSION, UHS Solved Papers, UHS Test format, University Medical & Dental College on October 22, 2018 by Pakprep.com Admin.